I was reminded of this while talking to someone. When I asked a question, he responded stating that, such a thing has never happened. What he left unsaid was, ” … hence it is not going to happen”. There are two important issues with such line of thinking. While talking about history, we often forget that what has not happened so far can still happen some time in future. The history one is talking about has limitations. It is either the recorded history or the one that one has read about or seen. This is what reminded of Harry Truman’s statement. There is almost nothing new, except that part of history that we have not read. This is especially true in things involving human nature and human mind. Some things do not change. These include our basic instincts and emotions. Read as much as possible about the history. Investment is closely related to how one behaves rather than which is the best investment option or whether the timing is correct. If human emotions have not changed over the millennia, it makes life easy – just read. This is exactly the purpose why I read many books on investment history and wrote “Riding The Roller Coaster – Lessons from financial markets we repeatedly forget”. It is very tempting for clients to be in the next best investment and one often regrets missing out on something. Bible for investors, in fact this is a must must must read for all who are new , invested and expert. This book should be referred each year to refresh memories of Booms followed by Busts. A must book for all persons who wants to understand investor behavior across market cycles. The teaches us how not lose money. Highly Recommended. This is true in the world of investing, too. For investors, it is impossible to go through all experiences, especially what happened in the past. 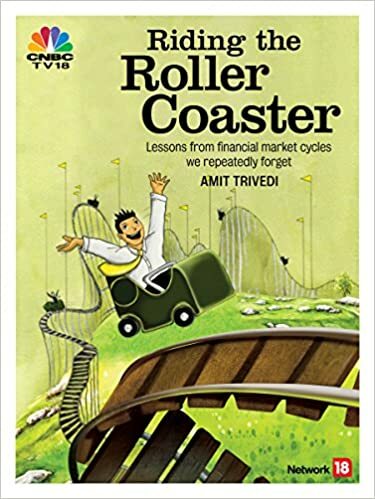 Amit Trivedi writes about various episodes of booms and busts in the history of financial markets in his book “Riding The Roller Coaster – Lessons from financial market cycles we repeatedly forget”. Wall Street suffers from many ailments also, but amnesia is foremost among them. By burying the past, the financial community can disavow any responsibility to learn from its own mistakes and can minimise the odds that its clients will be able to learn from other people’s mistakes. Our memory is short-lived. I would strongly suggest you keep reading this book every year to keep your memory refreshed. (That is why we are printing this book in hardbound format). History has been one of the finest teachers for mankind. We have learnt so much from what our earlier generations have done. On this Teachers’ Day, I bow down to all the teachers – present and the past, who have helped me learn and grow in life. Your contribution has been immense in making this book possible.